Gary Player's Risk / Reward Genius. 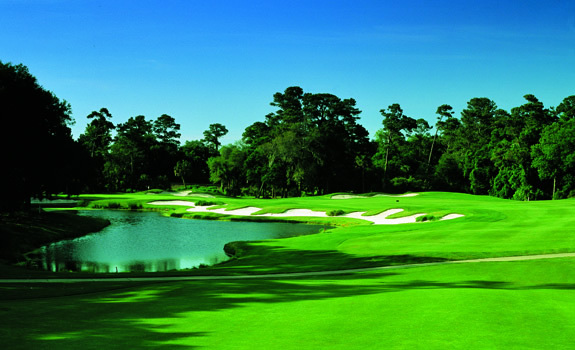 Kiawah Island Resort has become famous in large part because of the Ocean Course hosting the 1991 Ryder Cup and most recently the 2012 PGA Championship. However there are 4 other notable designs all part of this vast seaside resort near Charleston. Gary Player's contribution to the superb collection of golf at Kiawah Island Resort is one of the favorite layouts of both guests and locals alike. Extremely playable and filled with fun and as much challenge as you wish to conquer, Cougar Point has a few risk reward holes that make the round a standout. Number 3 is a Par 5 dogleg left that has a series of bunkers pinching in the landing area for those looking to layup and a lagoon guarding the green site for those long hitters feeling brave. 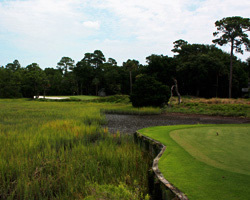 Par 3 Hole 6 is all carry over the tidemarsh if you want to get close, with plenty of bail out right for those faint of heart. 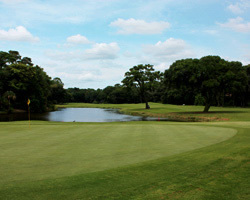 Hole 15 is a great Par 5, that has play dictated by the outcome of your drive. Long hitters can take a rip over the fronting lagoon to the raised green, while the safer routing brings 2 massive trees into play to negotiate your third shot. Short Par 4 Number 17 doglegs right and presents a variety of ways to play the hole for both the bold and timid (read smart) players.